After resolving a Field Spell Card that was activated during your turn: Draw 1 card. 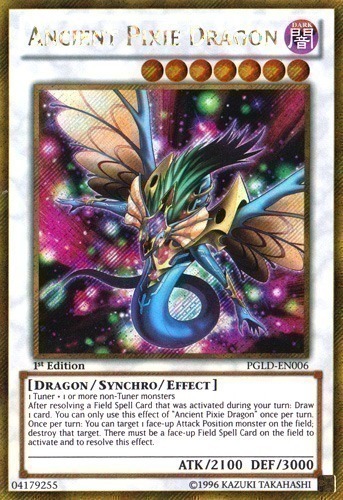 You can only use this effect of "Ancient Pixie Dragon" once per turn. Once per turn: You can target 1 face-up Attack Position monster on the field; destroy that target. There must be a face-up Field Spell Card on the field to activate and to resolve this effect.